Old MacDonald got a whole new farm. 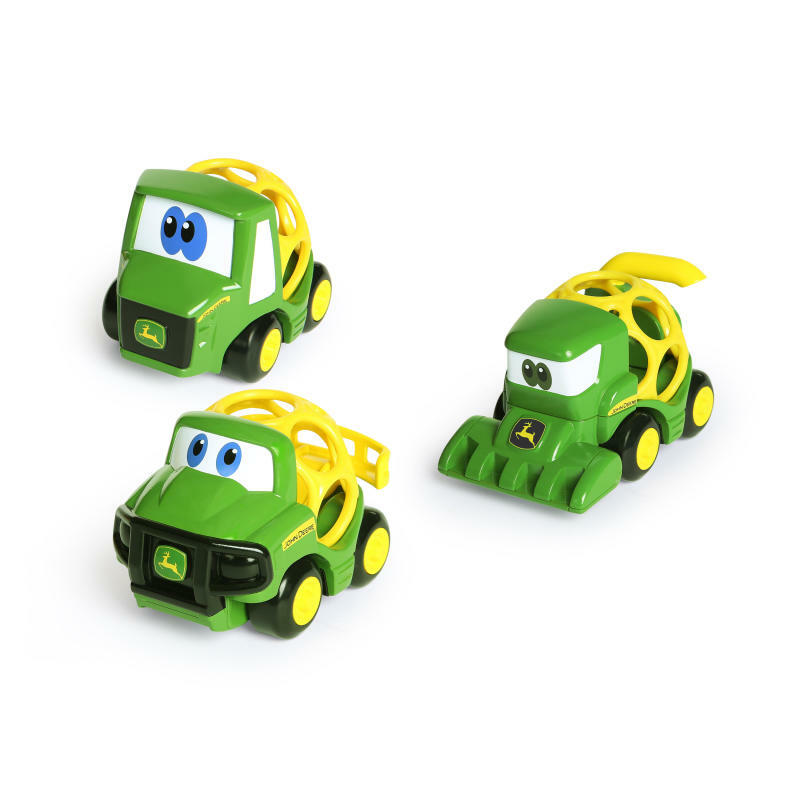 Grow your little one’s imagination with Go Grippers John Deere Farm Vehicles. From the green grass of the backyard to the pretend plots of land in the living room, these John Deere themed cars are rugged and ready for playtime. Grab the Tractor, Combine or Gator… all three of these toddler toys help baby’s imagination create a wide open field of fun. Little fingers easily grasp the flexible yet firm Oball design to roll from one crop to the next. Barnyard behavior is perfectly acceptable!